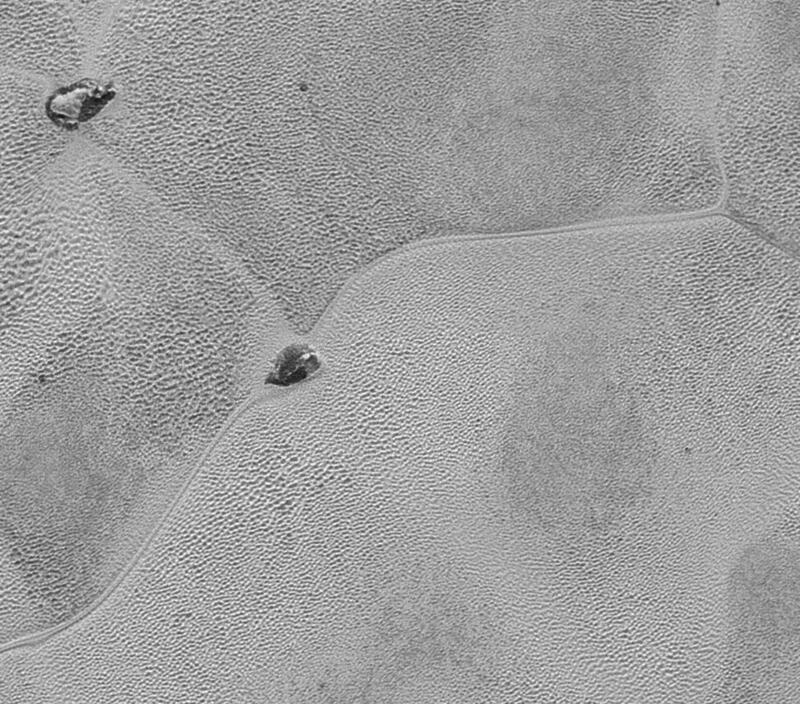 The view extends from the "limb" of Pluto at the top of the strip, almost to the "terminator" (or day/night line) in the southeast of the encounter hemisphere, seen at the bottom of the strip. The width of the strip ranges from more than 55 miles (90 kilometers) at its northern end to about 45 miles (75 kilometers) at its southern end. The perspective changes greatly along the strip: at its northern end, the view looks out horizontally across the surface, while at its southern end, the view looks straight down onto the surface. 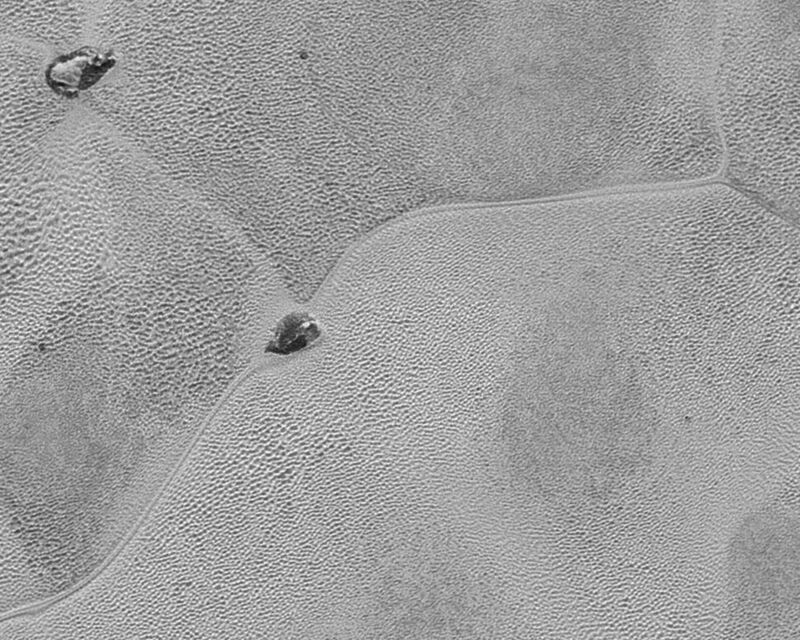 This movie pans down the mosaic from top to bottom, offering new views of many of Pluto's distinct landscapes along the way. 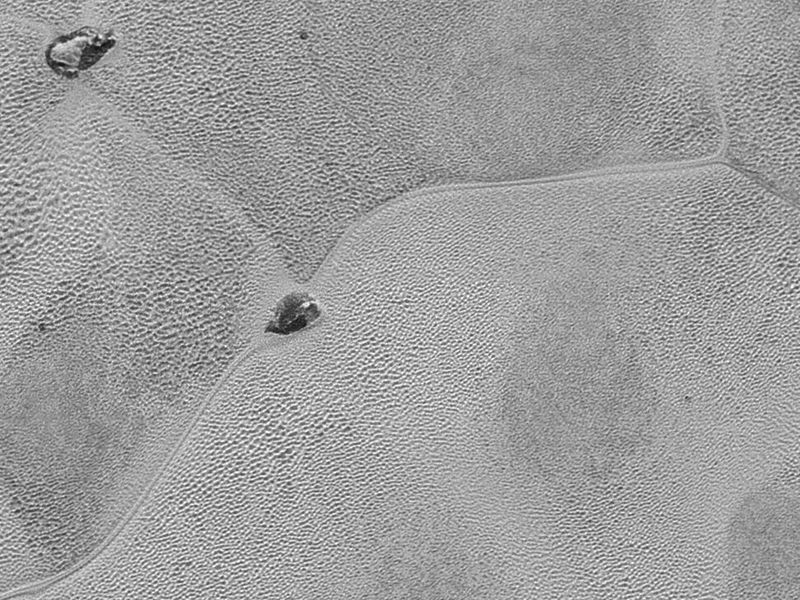 Starting with hummocky, cratered uplands at top, the view crosses over parallel ridges of the "washboard" terrain; chaotic and angular mountain ranges; the craterless, cellular plains; coarsely "pitted" areas of sublimating nitrogen ice; zones of thin nitrogen ice draped over the topography below; and rugged, dark, mountainous highlands scarred by deep pits. 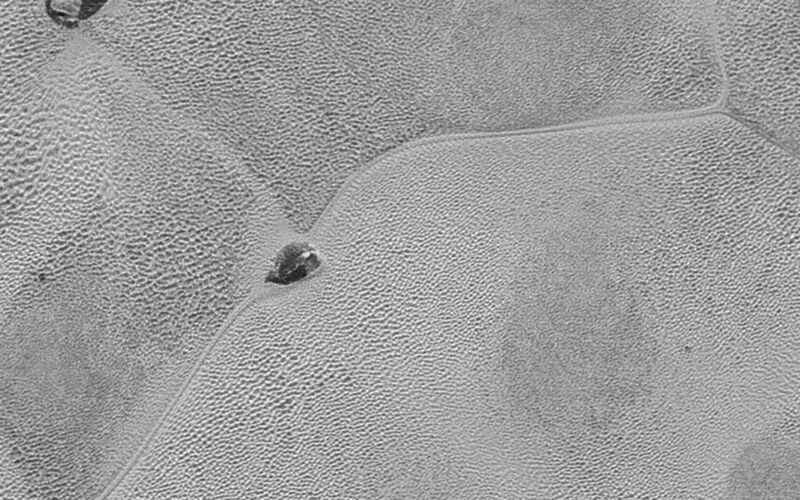 The pictures in the mosaic were obtained by New Horizons' Long Range Reconnaissance Imager (LORRI) approximately 9,850 miles (15,850 kilometers) from Pluto, about 23 minutes before New Horizons' closest approach.